Merlin joined Watsi on January 22nd, 2019. 28 other people also joined Watsi on that day! Merlin's most recent donation supported Musinguzi, a man from Uganda, to fund a mass removal procedure. Merlin has funded healthcare for 3 patients in 2 countries. Musinguzi is a farmer from Uganda. He is married and a father of eight children. Musinguzi developed a swelling on the back of his neck in 2017. This swelling has been gradually increasing in size. Musinguzi traveled to our medical partner's care center to receive treatment. On January 16, surgeons will remove the mass. Now, Musinguzi needs help to raise $196 to fund this procedure. He says, "I like listening to radio during my free time." 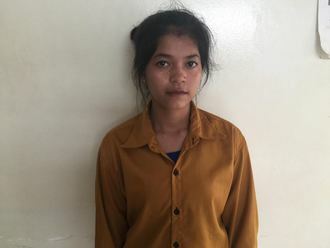 Srey Leak is a factory worker from Cambodia. She has one brother and two sisters. She likes to play games online in her free time. Three years ago, Srey Leak had an ear infection. This infection caused the tympanic membrane, or the ear drum, in her left ear to perforate. For this reason, Srey Leak experiences headache, pain, and ear discharge. She cannot communicate easily with others. 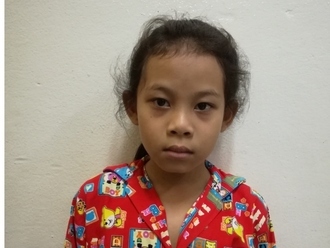 Srey Leak traveled to our medical partner's care center to receive treatment. On December 12, she will undergo a myringoplasty procedure in her left ear. During this procedure, surgeons will close the perforation. Our medical partner, Children's Surgical Centre, is requesting $423 to fund this procedure. This covers medications, supplies, and inpatient care. She says, "I hope my headache and ear pain is gone soon."